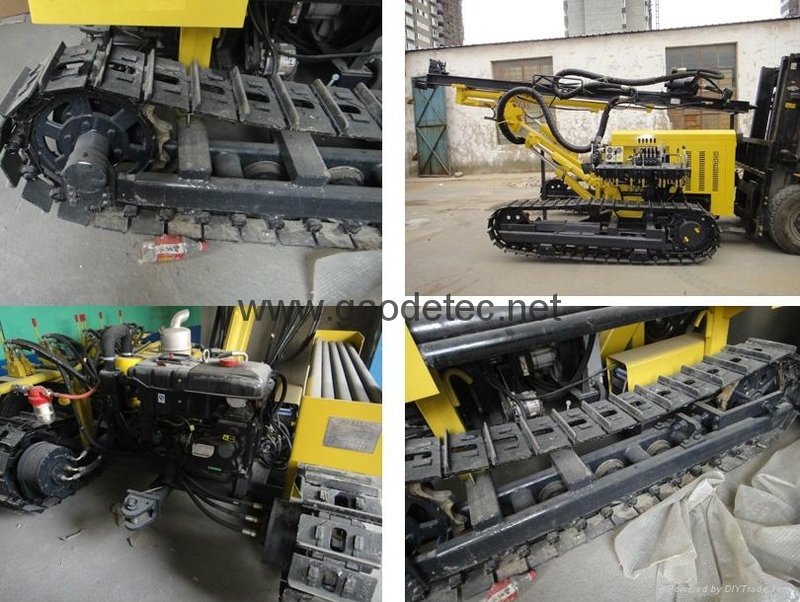 Crawler Drilling machine used in mining, railway, highway, water and electricity, coal, construction and other projects in the construction. 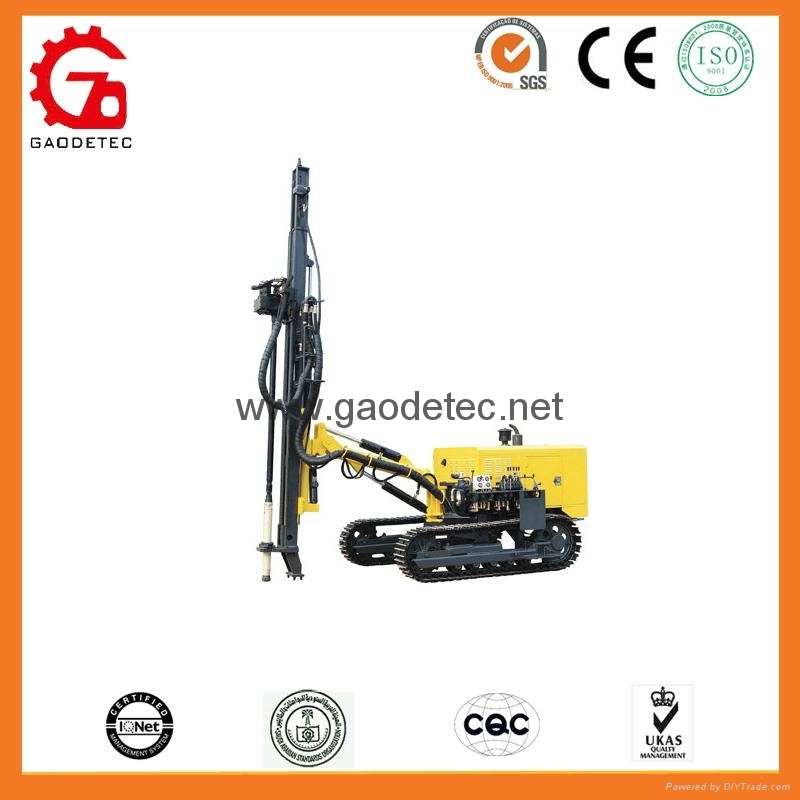 Gaode high performance drill-pneumatic&Hydraulic depth 20m mine and rock crawler drilling machine , open-air crawler drilling machine driven by pneumatic, electric or engine. 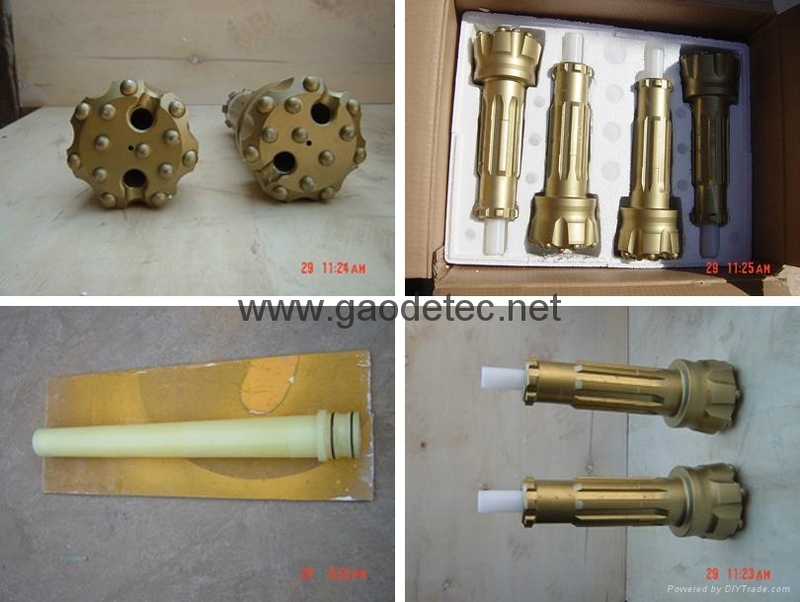 Working pressure is divided into high,medium and low pressure of the series. 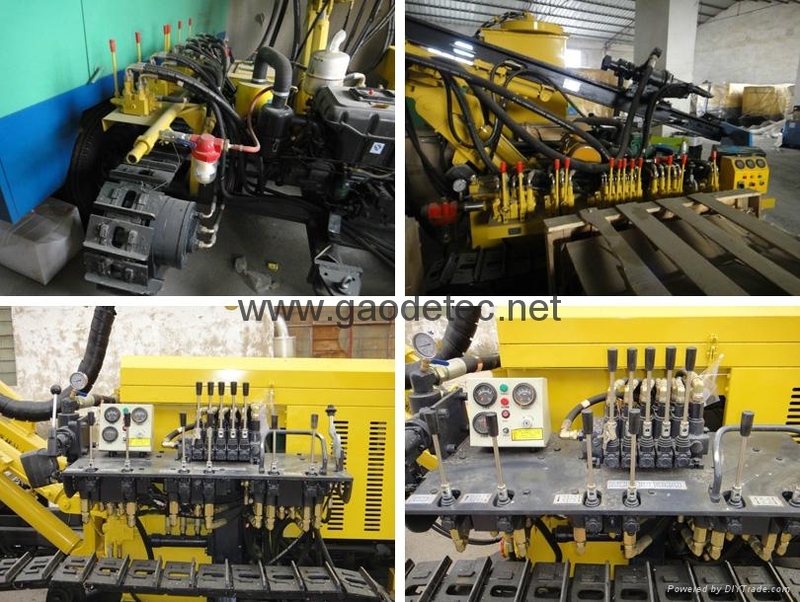 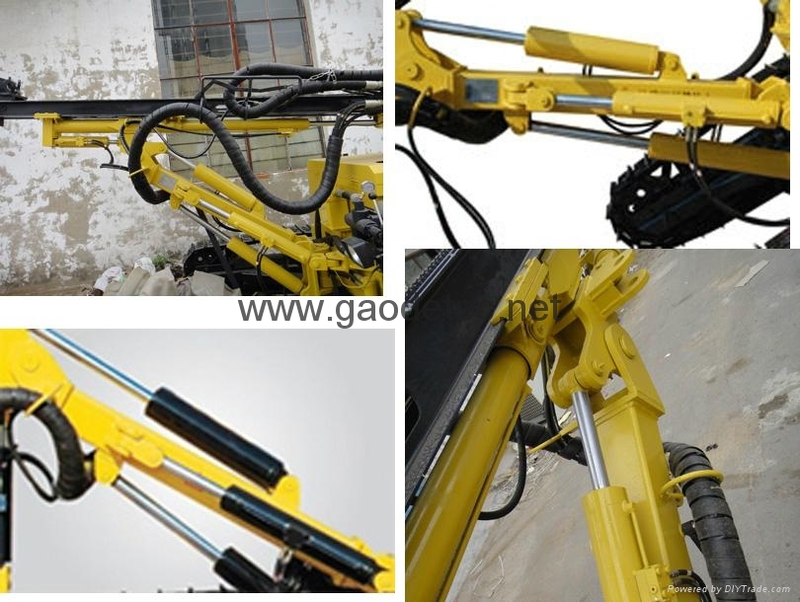 Have the characteristics of great climbing ability, strong adaptability for bumpy road and operation stability.Gaode high performance drill-pneumatic&Hydraulic depth 20m mine and rock crawler drilling machine adapt to a wide range of drilling efficiency, and high drilling efficiency. 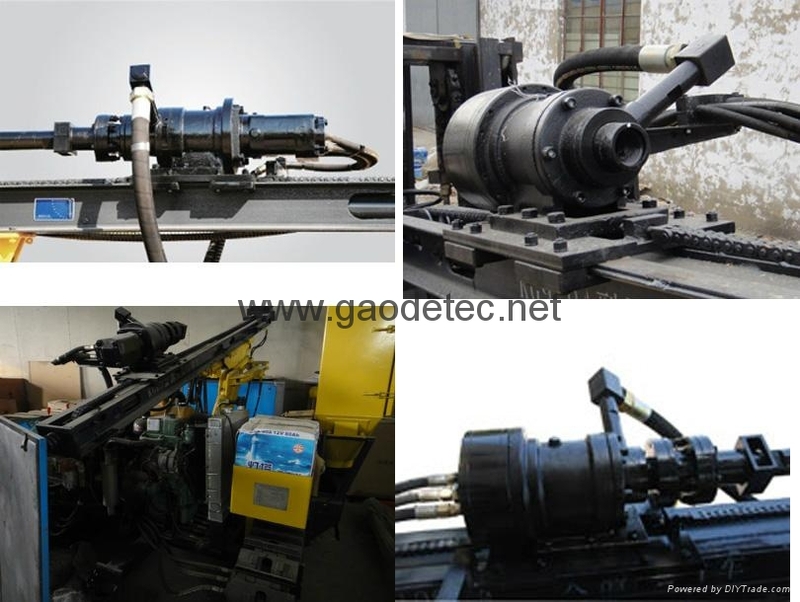 You can configure various types of DTH hammer can drill with different pore sizes,different depths and orientations, a variety of angles blast holes, anchor bolt hole, filling holes and other survey holes. 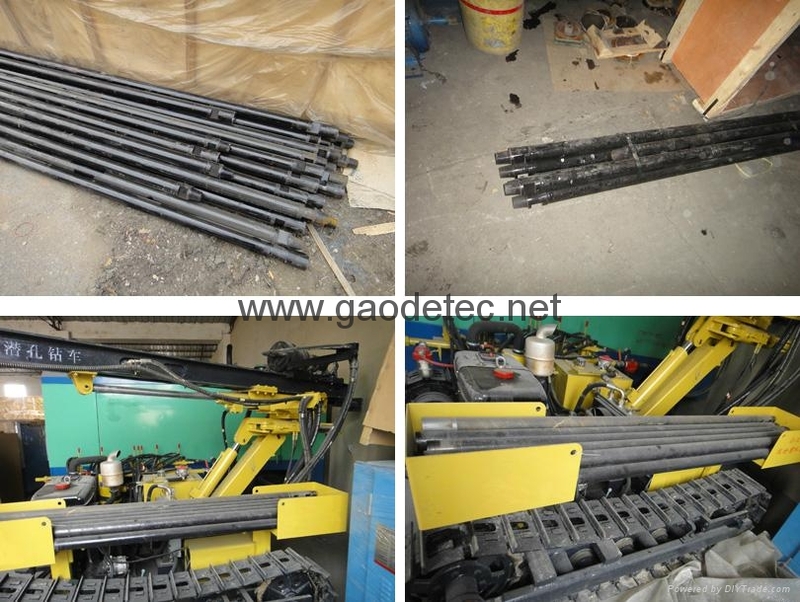 Gaode high performance open-air drill-pneumatic&Hydraulic depth 20m mine and rock crawler drilling machine can also configure the dry or dust catcher in conduct drilling operations.Effectively reduce dust pollution of the environment,protect the health of workers.